PSE fights to end racial inequity and advance a shared prosperity for everyone in Atlanta and the American South. The organization, founded in 2008 after PolicyLink’s Equity Summit in New Orleans, drives policy initiatives and action that focus on three areas: energy, growth and opportunity. PSE’s strong ties to the community are vital to its success. Through its Just Energy program, the organization works with community partners to educate low-wealth people about the extraction and commodification of energy in Georgia to promote more equitable distribution of the benefits and burdens of energy decisions. PSE’s Just Opportunity program partners with a network of organizations to develop an inclusive economic agenda for the region that addresses the root causes of income inequality. And the organization’s Just Growth program provides a platform for all Atlantans to have a voice in infrastructure, development and transportation decision-making, which positions low-wealth communities to be co-architects in visioning and fostering prosperous, environmentally rich, and equitable cities. PSE also conducts research and develops resources that provide organizations, decision makers and community members with information to create meaningful change. The Metro Atlanta Equity Atlas (MAEA), a series of maps designed to tell the story of Atlanta’s well-being, is a notable example. The maps highlight eight quality-of-life categories – including jobs, education and transit – and show how different counties throughout the Atlanta metropolitan area compare. 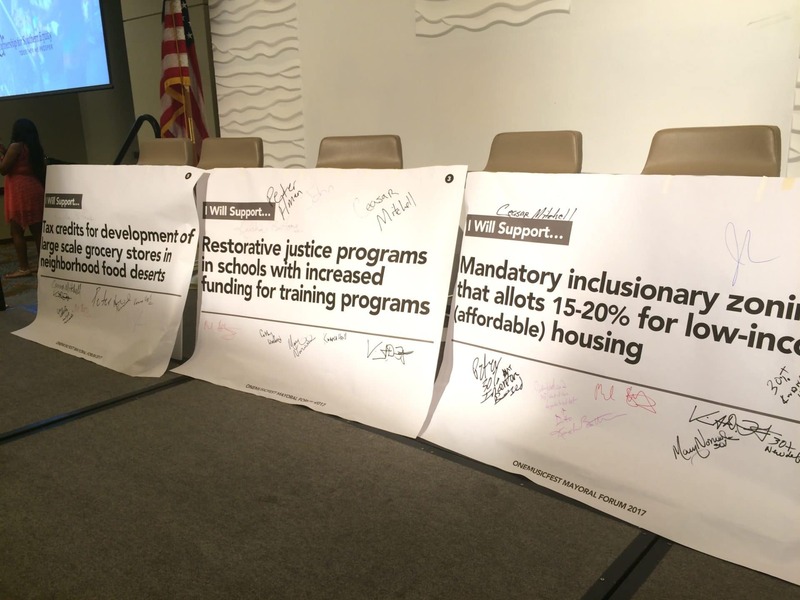 The atlas and corresponding report are powerful tools for lawmakers, nonprofits and community members to advocate for more equitable policies and programs throughout the area. In addition, PSE wrote a report about the history of race and transportation in Metro Atlanta that highlights opportunities for the region to “correct this failed legacy” and build transportation systems that connect all Atlantans to economic opportunities. The organization’s strong reputation, deep roots in the community and expertise around issues of equity and democracy help Surdna further one of the Sustainable Environments’ strategies to build accountability and develop alternatives that support healthier, sustainable and just communities for children and families across the country.